The Exira Church has a rich history. Established in 1876, it served the Exira and surrounding communities, along with three other Seventh-day Adventist churches. Due to depopulation, three of those churches have been long since closed: a second church in Exira, one in Jacksonville, and one in Elk Horn. For many years, members of the former churches have called the remaining church, located west of Exira not far from Elk Horn, home. 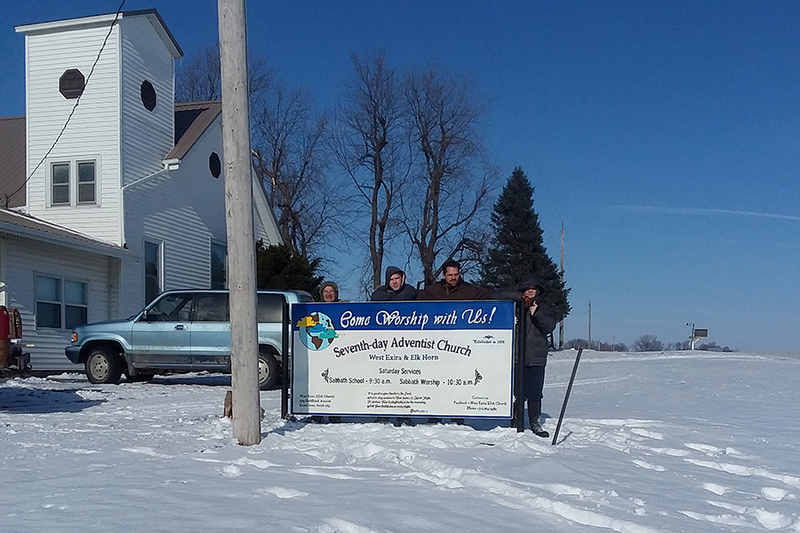 Now the church is honoring its history with a new sign that reads “West Exira & Elk Horn.” The church thanks Marjorie Sorrels, who designed the sign, and Mike and Alex Peterson, who assisted with painting.